Telltale was a video game studio that was incorporated in San Raphael, California in June 2004. On September 22, 2018, after all of their investors ceased their investment in the company, Telltale laid off 250 of their employees. 25 employees stayed on to finish their contractual obligations to complete Minecraft: Story Mode for Netflix. After that game was released on Novemher 27, 2018, those employees were laid off as well, and the studio was disbanded. Telltale was founded by Kevin Bruner, Dan Connors, and Troy Molander, who had previously worked on Sam & Max: Freelance Police at LucasArts. Telltale was founded as a direct result of that game's cancellation on March 3, 2004. While at LucasArts, the Freelance Police team pitched the idea for cases of the game to be released episodically through digital media. They were told by the legal team that it wasn't a sustainable business model, so when the team formed their own company, they decided to try that business model for themselves. A number of the Freelance Police team joined Telltale upon its creation, and they began development on an in-house engine. This engine, the Telltale Tool, used the open-source LUA language for its scripts and was created to allow it to be updated to support additional platforms and graphics technologies, enabling it to be used in all of the games developed by the studio. Using the Telltale Tool, they began working on a game to test their engine, as well as the animation and storytelling which would be necessary when they began working on their own adventure games. This game was a poker game, which the team soon realized could be sold on its own, so they polished it to commercial standards and branded it Telltale Texas Hold'em. It was released on February 11, 2005, for Windows, primarily to test their digital storefront, which was named Telltale Now, but after 2007 was simply known as the Telltale Store. A third Bone game, consisting of Eyes of the Storm and reportedly material from other Bone books, was announced in 2006. It was canceled in 2009, due to the fact that Telltale concentrated on the Sam and Max series and had lost the license to make Bone games by that point. An episodic King's Quest game was announced to be in development by Telltale in 2011. It was canceled in 2013 as Telltale had lost the license to make a King's Quest game, and the intellectual property owners of King's Quest, Activision, intended to publish a King's Quest game themselves. The Odd Gentlemen released their episodic King's Quest between 2015 and 2016. Telltale's first foray as a co-developer was in 2011, with Hector: Badge of Carnage, a game which they shared development duties with primary developer Straandlooper. In 2012, the release of The Walking Dead: A Telltale Games series was met with critical acclaim and commercial success, winning over 80 Game of the Year awards and selling 8.5 million episodes totaling more than $40 million in sales. After this success, Telltale expanded, from 110 employees to approximately 170. In 2015, Lionsgate invested in Telltale Games to enable the two companies to co-develop original and existing intellectual properties for video games and television. 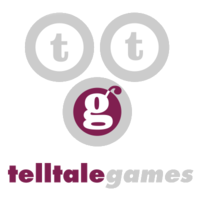 Later that year, the Telltale Publishing label was formed. The first game to be published under this new label was the Jackbox Party Pack, followed by Mr. Robot:1.51exfiltrati0n.apk, 7 Days to Die, and RGX Showdown. In 2018, all of Telltale's investors, including Lionsgate, pulled out of investment in the company. On September 21, 2018, Telltale announced a majority studio closure, laying off 250 employees with a staff of 25 staying on to fulfill contractual obligations to their board and to their partners. The game that was developed to fulfill the contractual obligations was Minecraft: Story Mode for Netflix. On November 27, 2018, after the game was released, the team that developed that game was laid off as well. The Wolf Among Us: Season Two, Game of Thrones: Season Two, Stranger Things, and Telltale's Super Show were cancelled as a result of the closure. Beam Team Games also terminated their contract with Telltale Publishing when the release of Stranded Deep on consoles missed its release date and was pulled from digital storefronts. The Walking Dead: The Final Season was completed by Skybound Games, who contracted some of the original team to finish the game from the Telltale offices. 360: November 17, 2018 Five episode story in Telltale's Batman series. Win: March 27, 2018 Five episode story in Telltale's Batman series. 2006 Win: December 23, 2014 A single episode story in the Bone series. Bone: The Great Cow Race Windows 2007 Win: December 23, 2014 A single episode story in the Bone series. PS2: September 25, 2012 A story with five cases in the CSI: Las Vegas series. The WEC Museum owns the Super Pack for Windows with the first four games. Win: November 2, 2011 A story with five cases in the CSI: Las Vegas series. 2009 Win: November 25, 2011 A story with five cases in the CSI: Las Vegas series. Wii 2010 Win: May 4, 2015 A story with five cases in the CSI: Las Vegas series. Win: July 23, 2015 A six episode story in the Game of Thrones series. Win: November 7, 2017 A story with five episodes. Win: September 23, 2011 A five episode story co-developed with Straandlooper. Win: November 15, 2011 A four episode story in the Jurassic Park series. Win: March 29, 2012 A story with seven cases in the Law & Order series. Win: March 29, 2016 A five episode story in the Minecraft series. Win: September 13, 2016 Three episode downloadable content in the Minecraft series. Win: December 19, 2017 A five episode story in the Minecraft series. Win: June 30, 2010 Single episode story in the Puzzle Agent series. Win: June 30, 2011 Single episode story in the Puzzle Agent series. Win: May 18, 2010 A poker game crossover with Sam & Max, Penny Arcade, Homestar Runner, and Team Fortress 2. Win: May 27, 2013 A poker game crossover with Sam & Max, Evil Dead, Borderlands, The Venture Bros. and Portal. 2009 Win: October 17, 2006 A story with six cases in the Sam & Max series. Win: April 6, 2008 A story with five cases in the Sam & Max series. Win: May 18, 2010 A story with five cases in the Sam & Max series. Mac: January 13, 2011 A five episode story in the Homestar Runner series. Win: October 20, 2015 Five episode story in the Borderlands series. Telltale Texas Hold'em Windows 2005 February 11, 2005 A poker game that is the spiritual predecessor of Poker Night at the Inventory and Poker Night 2. Win: July 2, 2013 Downloadable content episode for The Walking Dead: A Telltale Games Series. iOS 2019 Not yet Fourth season of The Walking Dead series with four episodes. Win: August 26, 2014 Three episode side story in The Walking Dead series. Win: May 30, 2017 Third season of The Walking Dead series with five episodes. Win: August 26, 2014 Second season of The Walking Dead series with five episodes. Win: November 20, 2012 First season of The Walking Dead series with five episodes. iOS 2009 Win: July 30, 2009 Four episode story in the Wallace & Gromit series. Win: July 8, 2014 Five episode story in the Fables series.